“Shara Vana Ya. My awareness is aligned with the Universe. Every grateful moment makes me healthier." 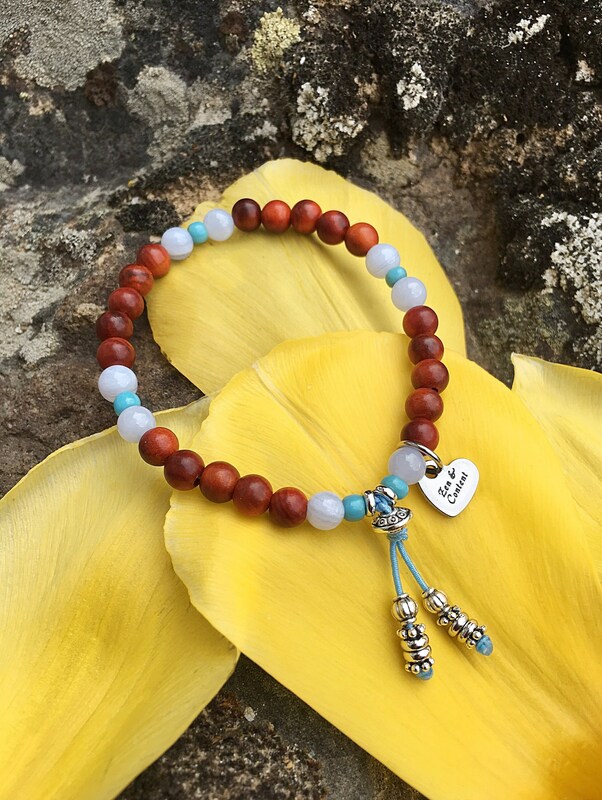 The Zen & Content Mala Bracelet features gorgeous natural untreated deep orange Raja Kayu wood beads along with AAA Blue Lace Agate gemstones and a stainless steel heart charm to help you manifest your deepest wishes while steadying your mind and calming your emotions. 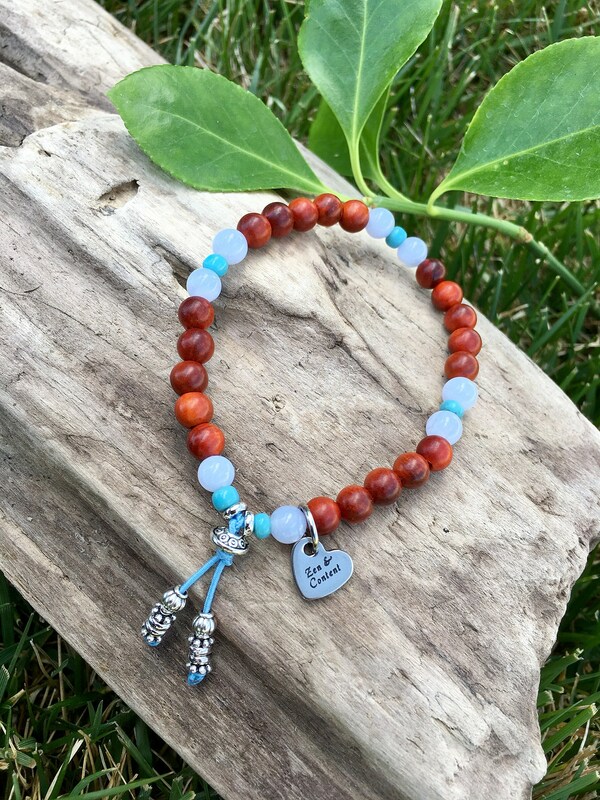 *The adorable stainless steel heart charm is lightly engraved with the words "Zen & Content” on both sides. Raja Kayu, or ‘King of Woods’ is found deep in the interior jungles of South East Asia. The Malaysian indigenous (Orang Asli) who live in the jungles believe the trees have magical and medicinal properties. To them, Raja Kayu dispels negative energies, attracts luck and fortune, grants wishes, instills courage and confidence, helps bring good energy into the home, promotes good Chi, eliminates bacteria in the air, helps detox the body and can assist with physical and spiritual healings. It’s important to know that these wise people wait until the limbs of the trees naturally fall to the ground before harvesting. Raja Kayu grows to over 35 feet high, and once they are fully matured they fall. It is only then that their essence or ‘purpose’ is fully realized. The wood is incredibly strong, dense, corrosion-resistant and almost never cracks. Raja Kayu wood also emits a mysterious translucent red glow under UV light or LED bright light. Science has yet to explain it. Blue Lace Agate has a gentle soothing effect on emotions. It assists those who fear sharing ideas in public or speaking their truth. It is a great gemstone for those who communicate for a living or anyone who must convey their thoughts in a clear, intelligent manner. Blue Lace Agate also relaxes the mind and calms stress. 6mm natural wood and gemstones, strung on strong elastic stretch cord. One size fits most wrists. Custom sizing is available.